Anastasia Shubskaya and Maria Nahapetova spend time on the beach: the wife of hockey player Alexander Ovechkin posted the pictures of Maria in a swimsuit. All the heirs of the famous actress are friendly with each other: Nastasya, Maria and Anna often spend time together. This time, the younger and middle-aged daughter of Vera Glagoleva decided to arrange a photo session on the coast. The fans were surprised by an amazing figure of Masha, many considered her excessively thin. Recently Nastasya shared a video on Instagram, which portrayed her sister Masha on the coast. 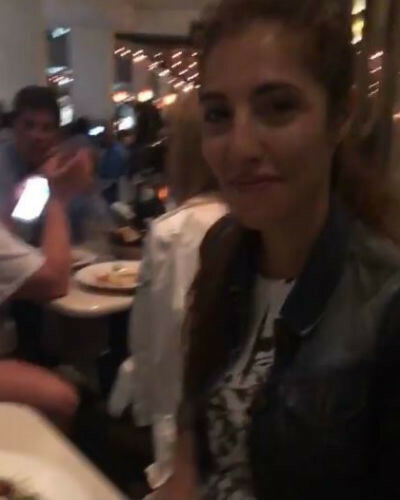 Users of the Network were surprised by the appearance of the young woman. 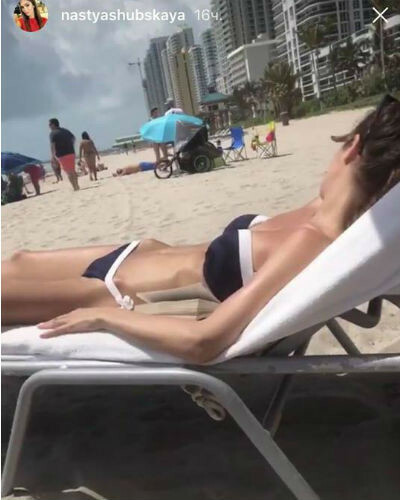 In the pictures shared to Instagram Shubskaya's sister looks excessively thin, despite the fact that she is the mother of two sons Cyril and Myron. 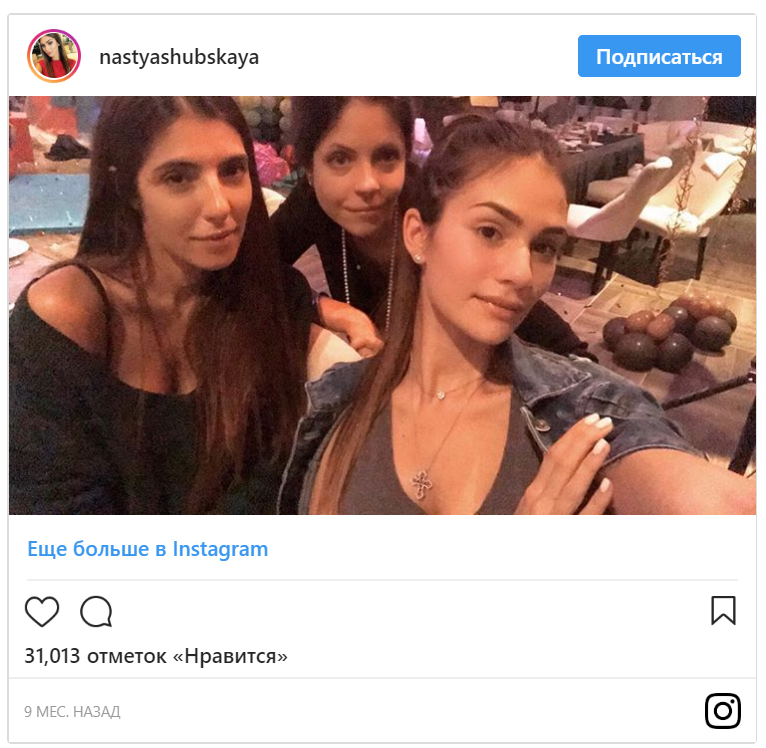 After the shots from the beach, Nastasya posted a photo of dinner at one of the restaurants. Shubskaya told the fans that her sister Maria eats well. Let's clarify, Anna and Maria are the daughters of Vera Glagolieva from the first marriage with the film director Rodion Nakhapetov. The heirs of Vera Vitalievna inherited from the actress a subtle figure. For example, Anna became a ballerina and an actress. The daughter of the actress dances in the Bolshoi Theater and starres in movies. In her childhood, along with her mother, Anya worked in the film "Sunday Dad", playing the role of the daughter. In 2006, the eldest child of the actress married the actor of the Bolshoi Theater Yegor Simachev and gave birth to daughter Polina. A few years later she divorced. Maria Nahapetova married a few years ago and moved to America, where she graduated from the school with a degree in computer graphics. Soon she divorced and returned to Moscow. 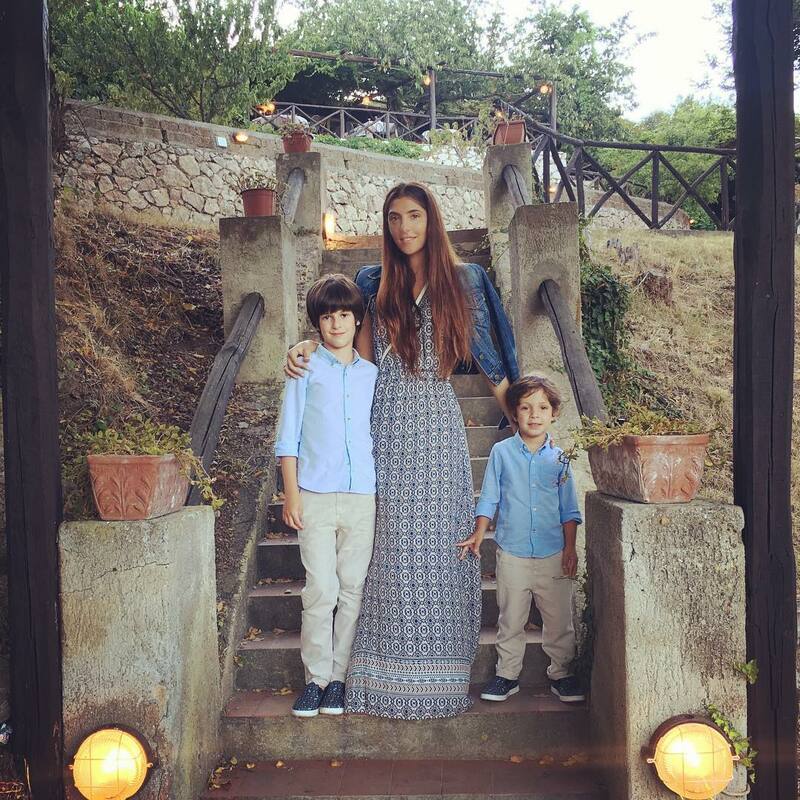 Maria has two sons: Cyril and Myron. 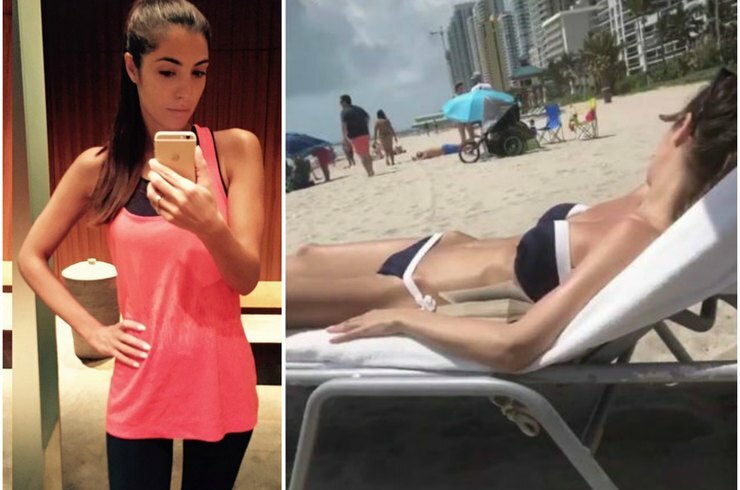 In the recent photo, the 37-year-old Maria looks painfully thin: it's no surprise that Web users began to suspect the girl has an eating disorder. However, Shubskaya herself wrote that she thinks her sister (who is the mother of two sons) is totally perfect, and told the followers that Maria has no food problems. "Mother of 2 children ... I'm a little jealous", - wrote the wife of hockey player Alexander Ovechkin. Recall that Vera Glagoleva has three daughters: Anna and Maria from marriage with Rodion Nakhapetov and Anastasia from relations with businessman Kirill Shubsky. Anna started acting career and was a ballerina, Maria was engaged in computer graphics, and Anastasia became a model. The young woman looks frightfully thin, Maria's bones stick out. "What a horror," "Skeleton! ", "Maria, you need to eat, do not starve yourself," "Did you lose weight?" - commented her followers. 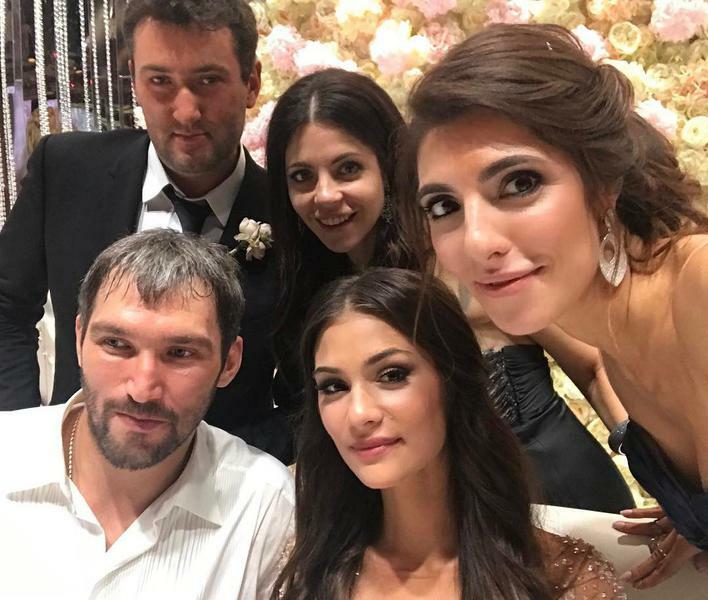 Recall that in 2016, the youngest daughter of Vera Glagoleva Anastasia married a hockey player Alexander Ovechkin. First, lovers played a modest secret wedding , and a luxurious celebration staged last summer. The actress approved the choice of her daughter. She said that she considered Ovechkin to be a beautiful son-in-law. 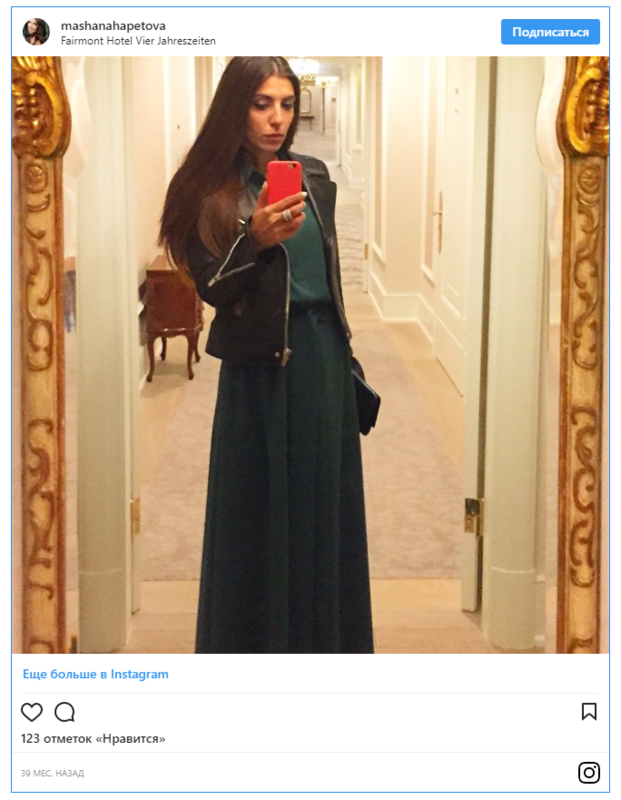 After criticism from the fans, Anastasia published a photo from a dinner at one of the restaurants. 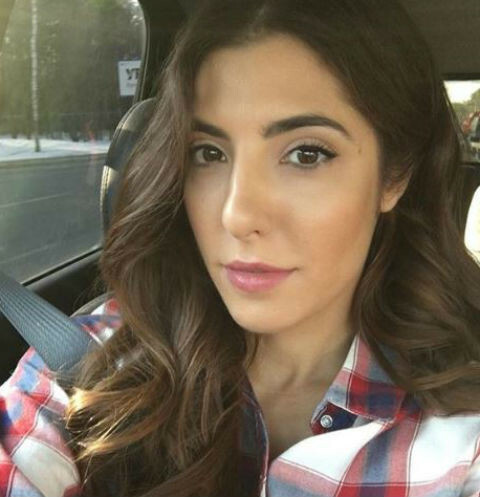 The girl reported that her sister Maria is fine.